Marco Rubio Minecraft: Florida senator and GOP candidate says Microsoft game prepares kids for future. 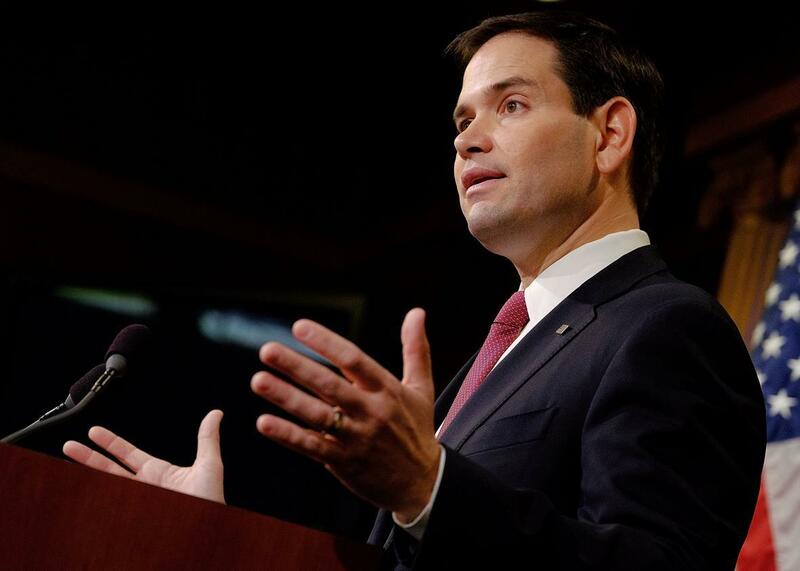 Marco Rubio Thinks Common Core Is Harming Education. He Thinks Minecraft Is Helping It. Sen. Marco Rubio connects with the youth of America via technology references. What starts out as a suggestion ends up being, “If you want money from us, you must to do it this way,” and you will end up with a version of a national school board. We don’t need a national school board. At the same stop, he doubled down on his rejection of Common Core standards yet again, saying that he believed in “curriculum reform,” but only if it happened at the state and local level. If you play Minecraft, you’re basically writing code when you’re converting a hammer into a pickax. Kids might not realize they’re coding, but that’s going to be almost a basic proficiency just because of the way they grew up. At 44, Sen. Rubio is (with apologies to Deez Nuts) the youngest serious presidential candidate, so he speaks with authority on the necessary computer skills that will prepare kids for the future. He also digs Uber, hip-hop, and Netflix.